I am finally back home and honestly a little depressed to be away from all the Girls Gone Strong. We had an amazing time and we have loads of really exciting things to share with you all in the near future – including our first product, which I know will be one of a kind! When our training video is available to me, I will then post an complete summary of my time in Baltimore with photos and of course the video! Even though I am literally just in the door from my long journey I actually feel like a workout. Some of the exercises today are more technically demanding so I have increased the rest interval and decreased the effort interval. BTW apologies if my writing isn’t as coherent today; I can honestly blame the jet-lag for that! 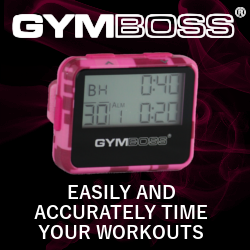 Set your Gymboss Interval Timer for 18 cycles of 20 seconds recovery and 40 seconds effort and perform 3 rounds of the following 6 Kettlebell exercises. My reps per exercise and weights used are in brackets. Note: I am not going heavy today as I want to work on skill while taking care not to risk injuring my tired body; I just want to feel good from this workout, not exhausted. If YOU want more intensity then feel free to adapt times, weights and exercises for your own goals. After this workout I felt great! So glad I did it. Particularly I found it challenging to pack my neck during the KB swing, but Neghar gave me a great cue to remember: “your head follows the trajectory of the Bell”. I had gotten into a bad habit of hyper-extending my neck at the bottom of the swing, so this will help prevent injury in the future.